Most everyone looks forward to Friday, but this past Friday was especially fun. The Wednesday before was not so much fun – it was filled with wood dust, wood chips and lumber stacking, but not in a good way. Wednesday evening I spent cleaning my shop and rearranging the tools for a visit from Charles Brock, the Highland Woodworker. All this film work will end up on The Highland Woodworker later in the year. And when I get an exact date, I’ll be sure to let you know. Until then, below is the current episode for you to watch. If you slide about 15 minutes into the episode, you’ll find a guy who looks a lot like me talking to Chuck about shellac, but do watch the rest of the show. There’s some great woodworking information to be found, and best of all, it’s entertaining, too. 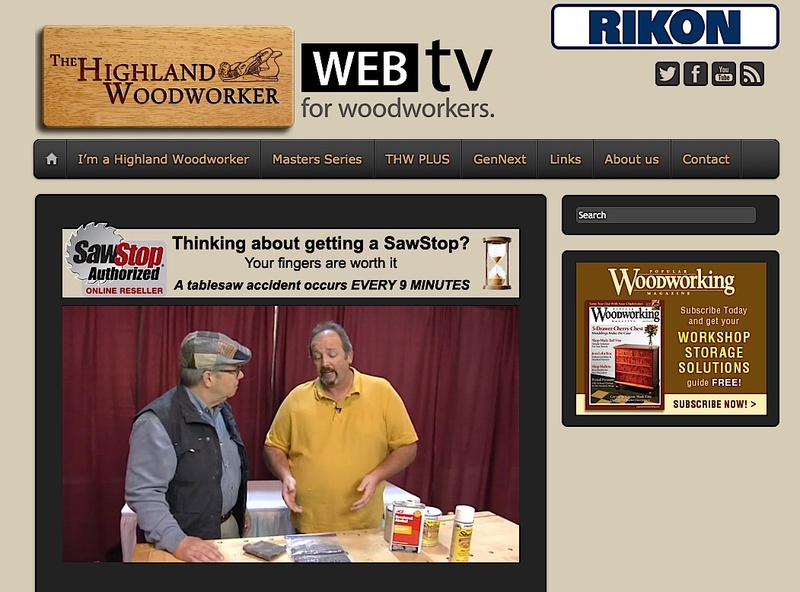 Great segment on The Highland Woodworker Glen. Decoding the numbers on top of the Zinser can will really help.